Just: WOW. How does this doodling genius do it? And just as important: how will you colour it in? 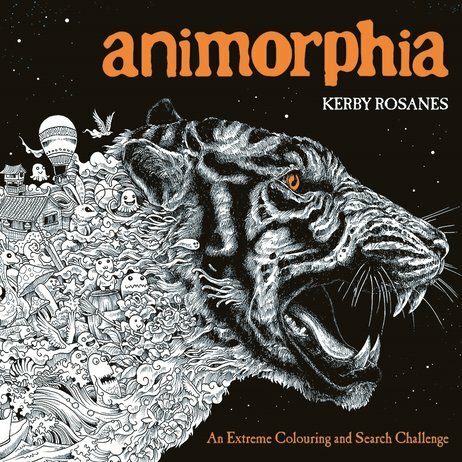 Welcome to the colouring book that expands your entire world, showing how far doodling can take you. Kerby Rosanes does things with his pens and imagination that have to be seen to be believed. His pictures look like beautifully drawn animals. But they’re also a visual wonderland of aliens, monsters and other tiny objects. And they aren’t finished yet. You have to colour them in! ABSOLUTELY AMAZING!! THE ART ITS WONDERFUL AND IS SO MUCH FUN!